You are here: Home / Domains, Producers & Appellations / Calvados – of apples, not oranges! Calvados – of apples, not oranges! For many Americans, Normandy elicits memories of both pain and pride. Vast swaths of deserted beaches with names like Omaha, Juno and Sword resonate with a special historic and emotional intensity. On a pivotal day in June 1944 while French resistance cells sabotaged Nazi supply routes and troop movements (enduring summary executions and torture), their Anglo-American allies battled heroically against the murderous weaponry of an occupying German army. 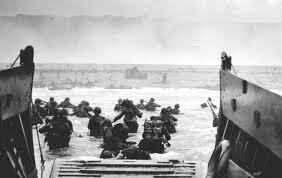 In the annals of human conflict, D-day stands out as one of the most dramatic and decisive moments in world history. Yet, for all its heroism and heartache, the spectacular saga of that fateful June day is but one part of the compelling story of this land. Just beyond the treacherous beachheads and solemn cemeteries of the Northern French coastline is a rather different Normandy – one where a bucolic countryside of lush, green, rolling hills dotted with postcard villages speaks of less tumult and tragedy. Here, centuries-old farms frequently adorned with fairy tale, thatch-work roofs exude a timeless charm. Picturesque apple orchards dot the landscape producing delicious sweet and dry ciders and the area’s eponymous digestif, Calvados. 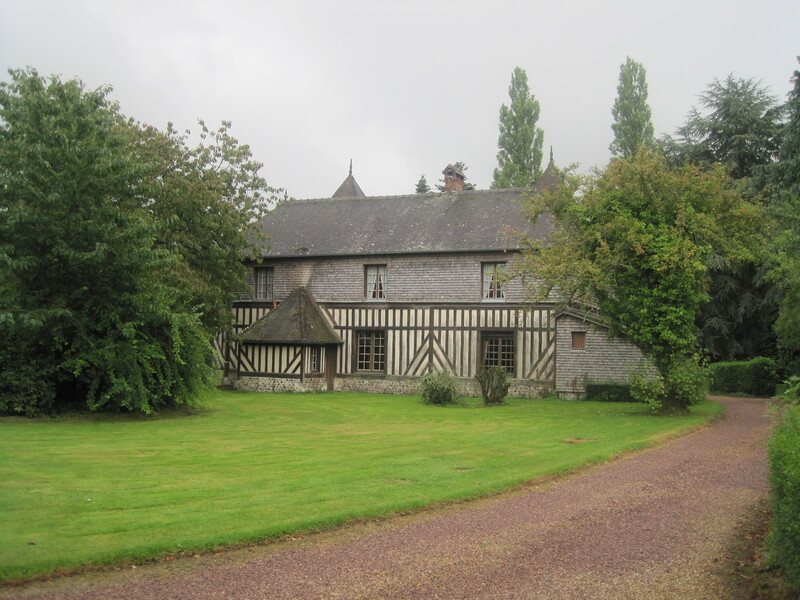 Of the many Calvados districts one, the Pays d’Auge, holds a special place for me. I have been coming to this part of Normandy for years having been married here almost two decades ago, just up a small country road from the lovely town of Pont l’Eveque. The picturesque Adrien Camut residence. 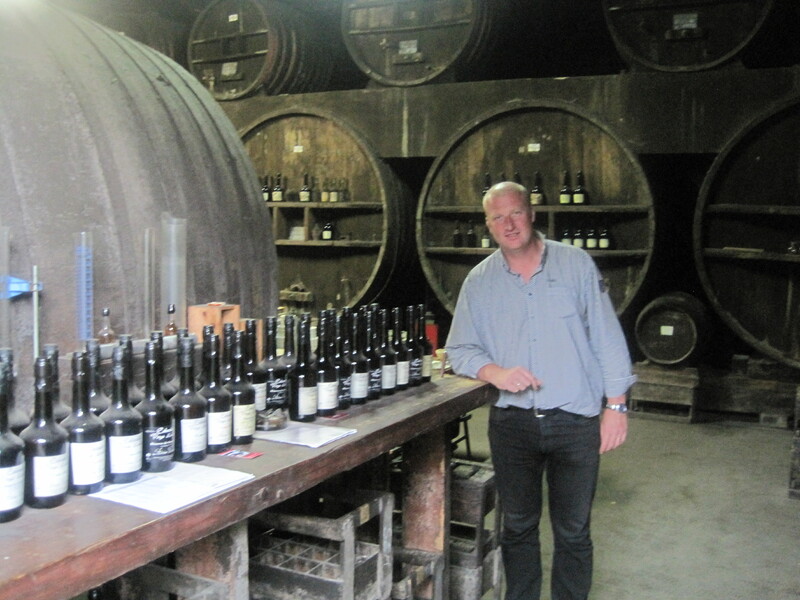 A visit had been arranged to the highly regarded, Pays d’Auge Calvados producer, Adrien Camut (a sixth-generation domain now overseen by three Camut brothers) located just a few kilometers from Pont l’Eveque. The tour was led by the imposing and amiable Jean-Gabriel. We started in the press house where the historical sandwich press had given way to the highly-efficient, computer-driven, pneumatic or bladder press (now used widely in modern winemaking) prized for its soft extraction of juice devoid of harsh tannins. Jean-Gabriel explained that the pneumatic press delivered up to 30% more juice in less than a third the time! He described how each variety was hand-harvested, processed separately and that prior to pressing all fruit was meticulously washed and sorted. La charentaise - an alembic cider still. To make Calvados you first must make dry cider fermented to 5 percent alcohol by volume that is then distilled. Jean-Gabriel recounted how his grandfather, Adrien Camut had patented a double vat alembic distilling process – a true revolution in the production of Calvados! The system slowly heats the cider in the upper vat by channeling the lower vat’s evaporating steam through the upper vessel. The steam exits the alembic still and passes through an external tank of chilled cider gently heating its contents while undergoing condensation that produces the eau-de-vie known as the petite eau. Once the lower vat has rendered its full alcohol potential of approximately 20 percent alcohol by volume its contents are replaced by those of the upper, steam-heated cider thus avoiding the detrimental shock of cold cider landing in a super hot vat. 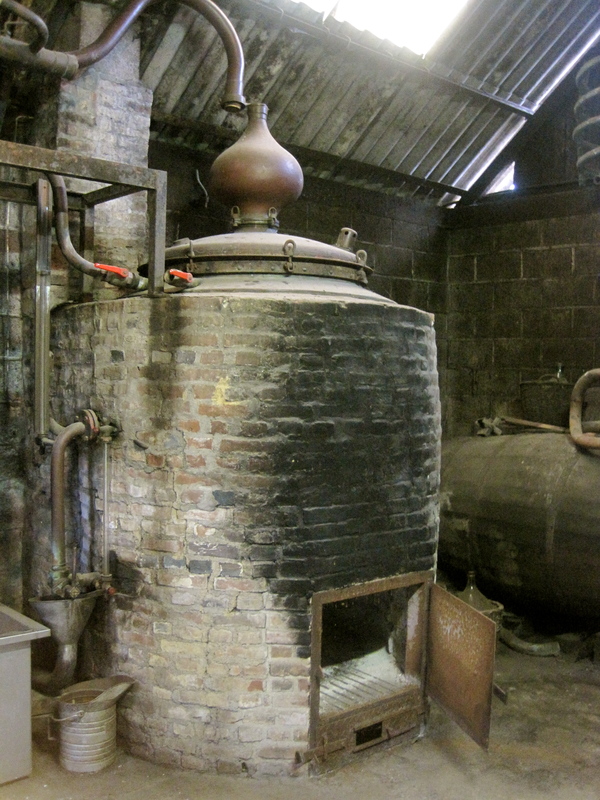 The now empty upper vat is simultaneously filled with the warmed cider from the external holding tank through which the steam was converted to eau-de vie. This tank is in turn refilled with chilled cider and the process begins anew. In the Pays d’Auge, the appellation requires a second distillation which at Adrien Camut happens roughly three weeks after the first and drives the distillate to the minimum forty percent alcohol necessary to be legally recognized as Calvados. For the pays d’Auge, the minimum aging for Calvados is two years in oak barrels. The house produces six, twelve, eighteen, twenty-five and forty year Calvados bottlings that, judging from the refined, complex and fruit-driven twelve-year offering I tasted must certainly exhibit increasing poise and elegance, becoming decidedly more profound with time. From the impressive, twenty-five varieties of apples used in the firm’s Calvados production, to the Limousine cows raised on site which eliminate the need for fertilizers; from the use of solely indigenous yeasts (making for slower fermentations and more complex pomace or musts) to the up to 150+ hl (roughly 4,000 gallons) historical, wooden aging casks that are filled only 75% percent to allow for maximum evaporation of harsh ethers and concentration of flavors, it was clear that the brothers Camut were uncompromising in their commitment to the philosophy of excellence of those who had come before them. I’ll take mine in liquid form thanks! Interesting and very well written article Mick. Thx man. It is only thanks to Jean-Gabriel that the content for this is rich. I could not have asked to visit a better ambassador for Calvados!